If you haven’t yet heard that making your own condiments and spreads is the easiest way to avoid chemicals, then I can only assume that you’ve been living in a rustic shack in the woods out of the reach of CNN, Real Simple and Pinterest, for the last several years. It seems like everywhere you look, there’s some sort of guide for avoiding chemicals in your food (which I’m totally on board with), or detoxifying your body, the latter of which usually deprivation, misery and the blissful ignorance that you’re wasting your money on juice since your kidneys and liver are willing to do the work for free. There are smarter ways to detox than surviving on a limited and boring diet of nothing but (high sugar, incidentally, and not altogether that healthy) fruit and vegetable juices, and it seems to me like it is easier not to ‘tox to begin with, than to go to the trouble of detoxing. To that end, I have officially become a yippie (yuppie hippie) who drinks out of an aluminum water bottle, uses natural soaps and all that jazz, makes my own salad dressings, and devotes a lot of my income to ridiculous things like gourmet nut butters because the cheap stuff is full of chemicals. The problem with spending a fortune on a jar of nut butter is that the more expensive it is, the more likely it is to be eaten, by the spoonful, within 24 hours of purchase. So, in order to continue to eat this coconut almond butter off of the spoon like the heathen that I am, it becomes necessary – for reasons both financial and dignity-related, so that the checkout clerks at Whole Foods never discover just how much nut butter I single-handedly consume – to make my own. Ok, I can admit that, in this case, I don’t make it because it is healthier this way, I make it because it tastes like liquid gold. Probably better, actually. This stuff could have nuclear waste in it – try detoxing that – and I would still go back for more. So, maybe this isn’t exactly part of my campaign to reduce chemicals and additives in my environment; maybe I’m just making it myself so that I can make it exactly the way I like it: extra creamy, slightly sweet, deeply toasted flavor (in other words, premium flavor without the premium price tag). Can you blame me? In a large dry skillet, toast the almonds in a single layer over medium-high heat, shaking the pan every few minutes to ensure they don't burn. After about 4-5 minutes, they should begin to smell nutty and fragrant, and possible have started to brown where they were touching the skillet. That means they're done. Remove from heat immediately and transfer to the bowl of a food processor fitted with the "s" blade. I recommend using Bob's Red Mill coconut, because it is not only unsweetened and preservative-free (which is surprisingly hard to find), but it is also very finely shredded. The smaller the shreds, the faster and more effectively it can be pureed. If you want a runnier nut butter, use an oil that is liquid at room temperature. There will still be plenty of coconut flavor without it. If you prefer to use coconut sugar, start with 1/4 cup, since it is not as sweet as monk fruit or stevia. Omit the sweetener completely to make this Whole30 compliant. Serve immediately or store in an airtight container at room temperature for up to 5 days, in the fridge for 2 weeks, or in the freezer for up to 3 months. You see….this is something I ruuuuuuhlly need to do, because I go through almond butter like cuh-ray-zeee! I’ve been meaning to make it myself for a long time, and this toasted coconut idea is seriously lighting a fire under my booty. Thanks for the inspiration and delish recipe! Same here! It’s an expensive habit! Making it yourself helps a TON, plus you get to make it exactly the way you like it! I am loving the flavor of this almond butter! 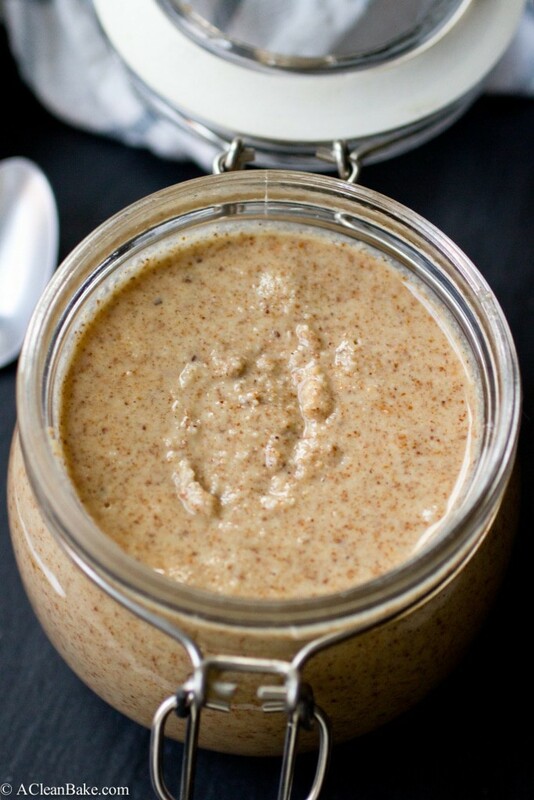 There really is nothing better than homemade almond butters. The flavor options are endless. Pinning this one! You’re so right! I have about 100 more ideas – just need to find the time to make them! 🙂 Thanks for pinning! 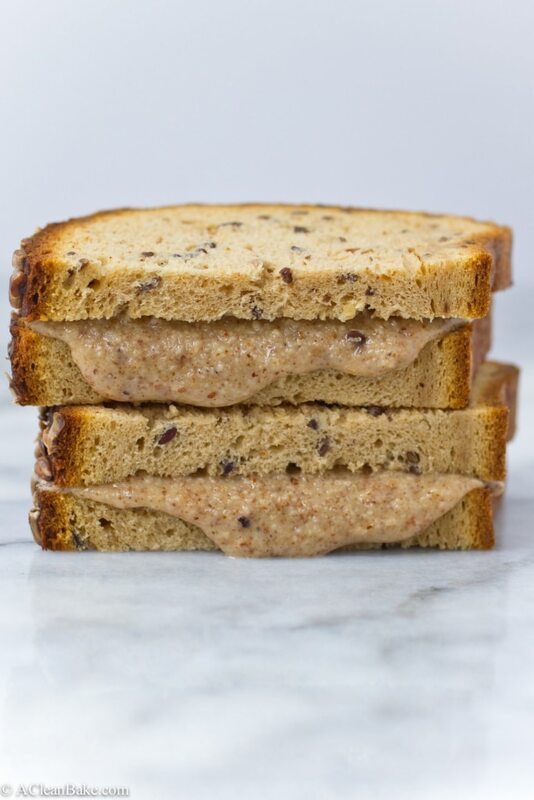 This is totally making me crave a toasted pb&j sandwich! I am super indecisive on wether I like coconut or not but this toasted coconut almond butter looks too amazing to pass up. I KNOW I would love this. Pinned! I think you might want to give coconut one more try if it’s in this almond butter …. you might change your mind! 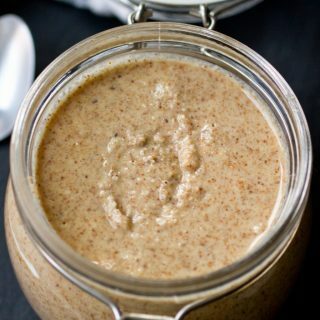 Almond butter can be expensive so we love the idea of making your own! Thanks for the recipe, we are excited to give it a try! You’re welcome! I hope you enjoy it! PS: Cool app! Looove the idea of adding coconut to the almonds to make this luscious butter! What a fabulous flavor combination…. I’ve been buying Woodstock nut butters and absolutely love them, for the convenience yes, but you’ve inspired me to make my own! I don’t think Woodstock has a combo like this! Free Detox – yes please! Thank you for this, Nora!! Nicely done! 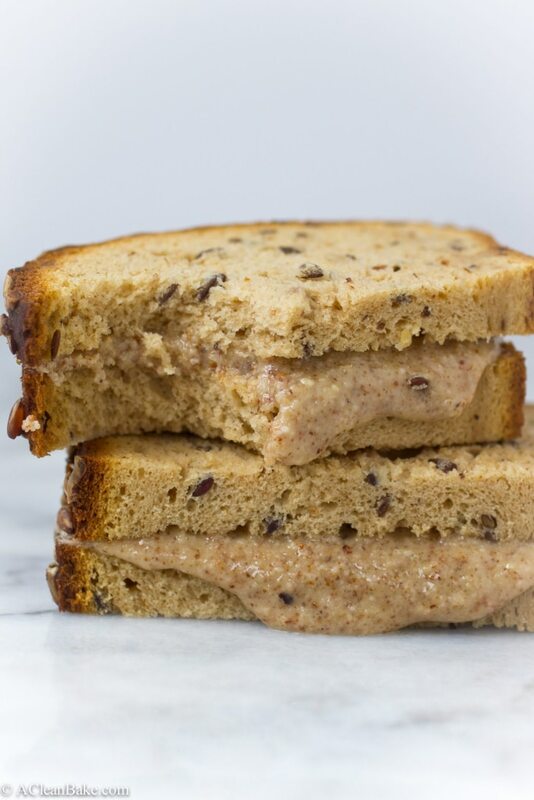 A homemade version of delicious coconut almond butter so that you may indulge as often as you please (: Also, is it just me or your website font (and small other details) is different?! Love it. What a great idea!!! This looks delicious and like something I’d definitely enjoy. I’ll give it a try! Thanks for sharing. I hope you enjoy it, Jenn! 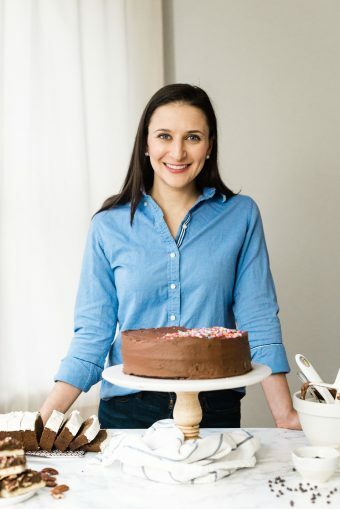 This recipe makes me so happy…and so HUNGRY. I made this recipe the first time with toasted coconut chips and it was phenomenal. I tried to make it today with shredded coconut and for some reason after double the time it took last time, the mixture has gone chewy instead of creamy nut butter. Does anyone know why this might have happened as i wouldnt want to waste another bag of almonds. It sounds like you might have overprocessed it. The heat from the blender may have caramelized the natural sugars in your coconut, which would make it seize up like that. Otherwise I wonder if there was something else in your coconut that could have affected the outcome?